Ladies’ Football Academy is proud to direct all proceeds from the event to the University of Iowa Stead Family Children’s Hospital. To date, Ladies Football Academy has donated $2.1 million in eight years to UI Stead Family Children’s Hospital. $1 million has benefited the new state-of-the-art University of Iowa Stead Family Children’s Hospital building currently under construction. Another $1 million helped University of Iowa Stead Family Children’s Hospital researchers find new ways to better diagnose, treat, cure, and even prevent illness and disease. The next $1 million has been pledged to support the creation of a new Child Life specialist position, focusing on meeting the emotional and developmental needs of children during their stay at UI Stead Family Children’s Hospital. 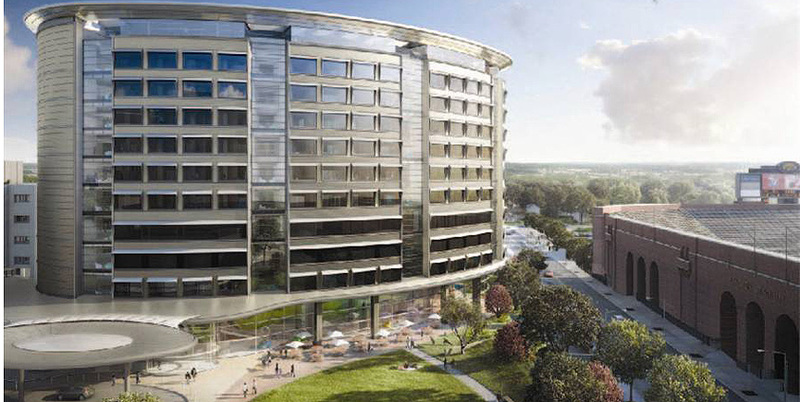 The new University of Iowa Stead Family Children’s Hospital, opening this December, will provide an optimal healing environment for children and families, and take patient care to a whole new level. Plans include expanding existing programs and developing new services on-site and throughout Iowa to meet the current and future needs of Iowa’s children. The guiding principle of the University of Iowa Stead Family Children’s Hospital project is to create a system of care for Iowa’s children—bringing together services and resources as part of a comprehensive network. The goal is to help families be safe and healthy at home, in school, and in the community. More information is available on the University of Iowa Stead Family Children’s Hospital building website. Ranked as one of the nation’s Best Children’s Hospitals by U.S. News & World Report in all 10 possible specialties, the University of Iowa Stead Family Children’s Hospital is a statewide resource for families that includes over 140 pediatric physicians and surgeons and more than 500 specially trained pediatric nurses all focused on caring for children. For more information on the University of Iowa Stead Family Children’s Hospital please visit their website or contact Taryn.Kuntz@foriowa.org.